The Indie Groundbreakers Awards, the RPG Design Panelcast, and Alex Schröder’s thoughts about heroic RPG scenes. On Kickstarter, we have Ross Cowmans Night Forest, Grant Howitt’s Spire, Sean Nittner’s Stone Dragon Mountain for Torchbearer, and elsewhere: Hamish Cameron et al.’s The Sprawl: November Metric setting supplement, Derek A. Kamal’s Heavy Metal Thunder Mouse, and finally Wilhelm Norsten’s Planets & Dragons hack for Lasers & Feelings and Cédric Plantes Spinetooth Oasis zine/sandbox. 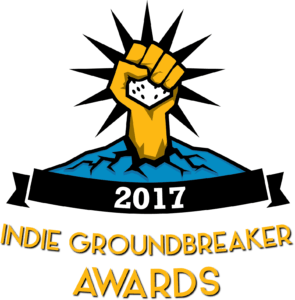 The Indie Groundbreakers Awards are another gaming award, this time exclusively for indie games and judged by a small panel of industry experts and Indie Game dEveloper Network (IGDN) members. Winners will be announced at GenCon at the IGDN Social event on August 16th. There are so many games nominated that would fit into the indie- & story game niche (obviously, that’s the whole point) that I would just have to list them all. So go there to check them out! Some games are nominated more than once, like Undying, the diceless PbtA vampire game, Lovecraftesque, the GM-less horror/mystery game, and the #Feminism, War Birds, and Seven Wonders game anthologies. The RPG Design PanelCast is a podcast by Genesis of Legend Publishing featuring audio versions of game design panel discussions. Most recently (episode 119) they have a recording of a Metatopia 2016 talk about games powered by the Apocalypse with “parents” Meguey and D. Vincent Baker, and Jason Pitre. Another one I really liked is episode 117, “What’s Up in Tabletop Games?”, with Michelle Lyons-McFarland, Robin D. Laws, Jon Gilmour (codesigner of the Dead of Winter board game), and Eric Lang (another board game designer) but really, all of the are interesting. In his G+ thread, +Alex Schröder brought up the question whether it is possible to encourage players to make heroic and awesome sacrifices and stunts, and a long and interesting discussion about the differences between suicidal characters and heroes and the role of the game system (and especially Fate and other bennie/hero/reroll points) in all of that ensued. Worth a read! +Ross Cowman is probably best known for his popular Fall of Magic, the enchanting storytelling game on a canvas scroll, which he kickstarted in 2015. 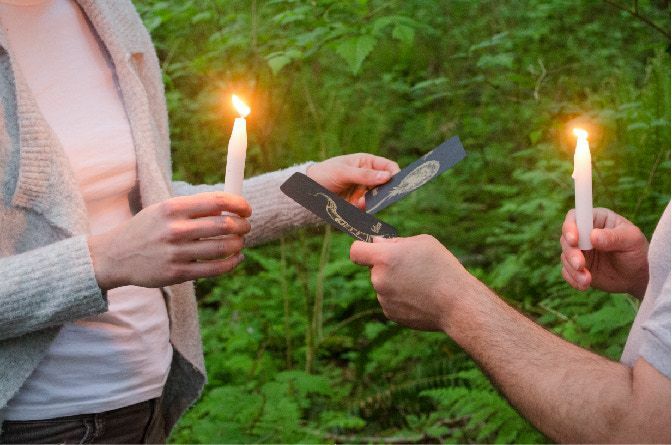 Night Forest, illustrated by Mo Golden, is a card-based introspective larp that has each player go into the dusky woods with a candle and a few matches. Whenever you meet one of the other four or more players, you exchange memories. The aim is to bring people together in a safe community, to weave a web of old and new experiences, and to cultivate listening and sharing skills. The game comes with a beautiful screen-printed bag and minimalist black gold-printed cards. There’s also a purely digital version with print-and-play cards if you’re on a budget, or a digital version plus just the physical deck of cards. You might know +Grant Howitt from his previous Kickstarter game GoblinQuest or more recently, Unbound. Well, he has a new big game! 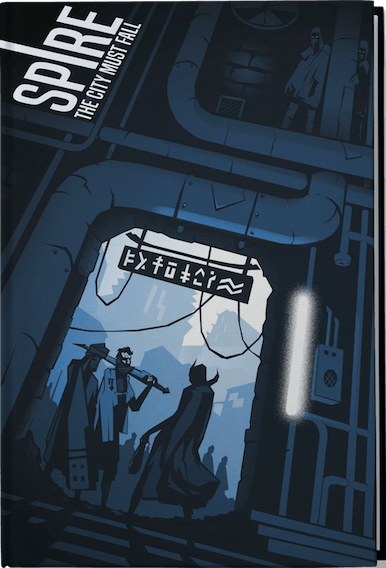 Spire is a dark urban-fantasy game where you play oppressed dark elves, who are forced to live underground and live off scraps after the war, joining the resistance against the rich high-elf overlords ruling the city of Spire. 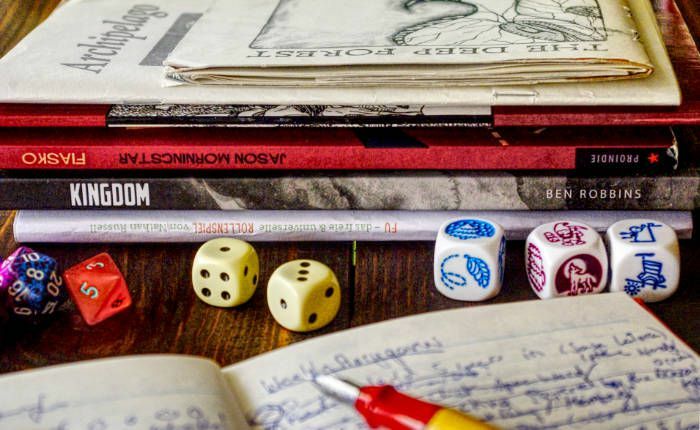 Spire “focuses on storytelling over simulation” and uses D10s: the better you are and the more you know about the thing you are trying, the more d10 you roll, taking the highest roll as your result. Stress plays an important role in the game. One cool stretchgoal I found ist that the designers want to commission TabletopAudio to compose a number of loopable sound pieces especially for the game. Another important “good to know” thing: since the setting reflects real world themes of racism and social inequality, they will have several sensitivity checkers go over the text to make sure these subjects are addressed appropriately. The PDF edition is 15 British Pounds, which is about 17 € or 20 US \$. The Hardcover will be around 45 Pounds with shipping, that’s about 55 € or 60 \$, depending on where in the world you are. 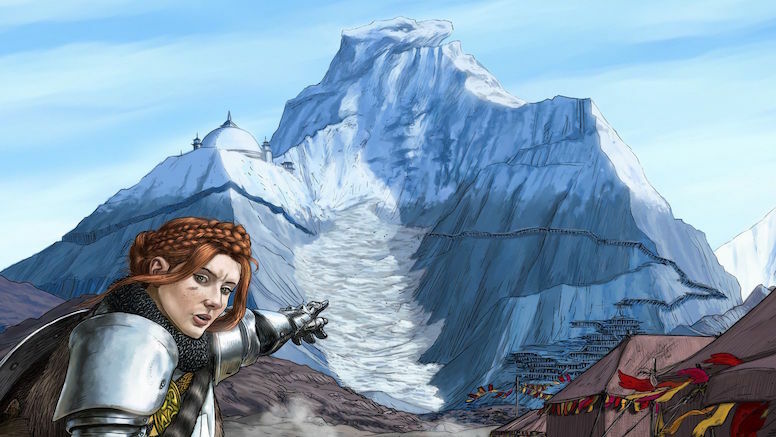 Stone Dragon Mountain is an introductory campaign adventure for Torchbearer by +Sean Nittner. It’s all about mountain climbing expeditions. 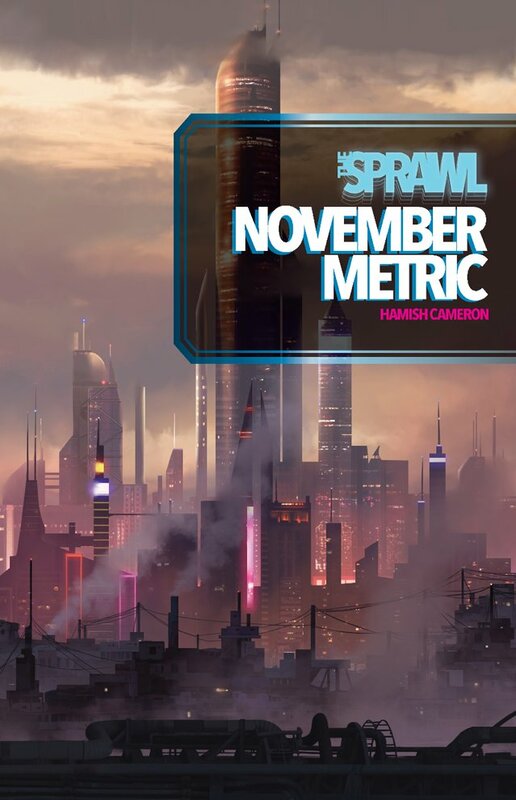 November Metric is a new supplement for Hamish Cameron’s cyberpunk PbtA game The Sprawl containing 12 interesting new settings and locations (by different writers) to inspire your personal game of The Sprawl. Available in PDF from DTRPG, with a print-on-demand option being in the works. or if you’re a PDF-level backer of original The Sprawl Kickstarter itself, you will get access to it for free, since it’s one of the stretch goals. +Derek A. Kamal is planning to put his new FATE game about mice in motorcycle clubs on Kickstarter in October, as he announces in the FATE Core G+ community. 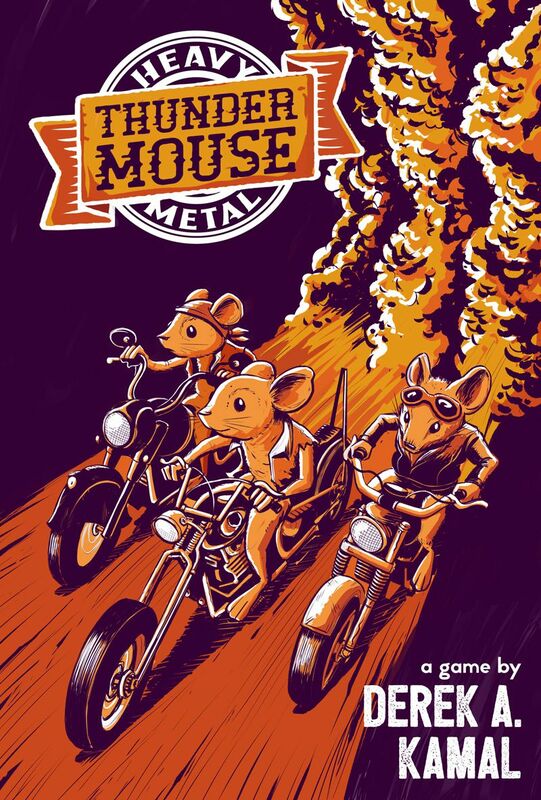 Here’s the cover of “Heavy Metal Thunder Mouse”, and I just can’t get over how cute it is. “Sons of Anarchy”, which is probably one of the inspirations, is not anywhere near my top TV shows - however, the SoA board game by Gale Force 9 is one of my favorite board games ever (I’m a serious boardgame geek in my other gaming life) and I adore the little mouse heroes in Mice & Mystics. This cover alone makes me want to try the RPG! +Wilhelm Norsten’s Planets & Dragons is a Hack of L & F that combines space opera with the Viking age. Here’s a link to his announcement (and link to a character protrait) in John Harpers One Seven Design G+ community, and here’s a direct link to the Google Doc. +Cédric Plante is making really awesomely weird illustrations and zines. 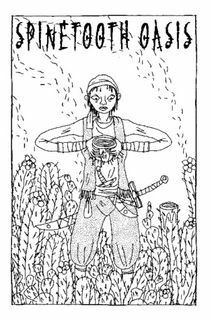 His newest is a collaboration called Spinetooth Oasis, an OSR module that’s kind of like a sandbox of evocative adventure locations and bizarre cactus-desert creatures and monsters. I’m sure it can be used for non-OSR dungeon-crawly games like Dungeon World, as well. There’s a PDF version you can download for free or an extremely cheap print version on Lulu.